I use Emacs with Spacemacs configuration kit. 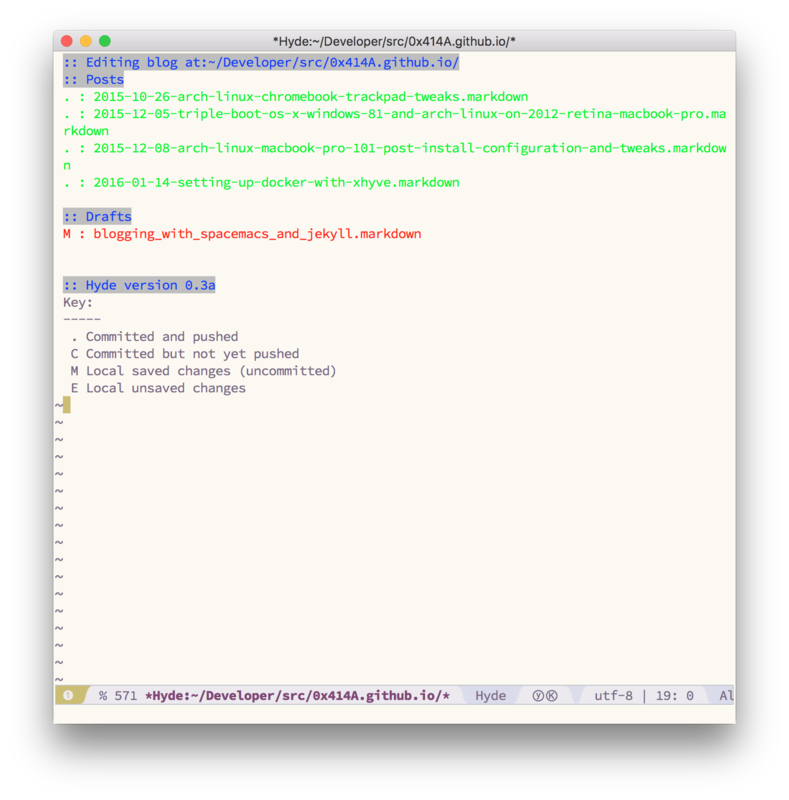 These are some of my notes on setting it up to work with this jekyll blog. 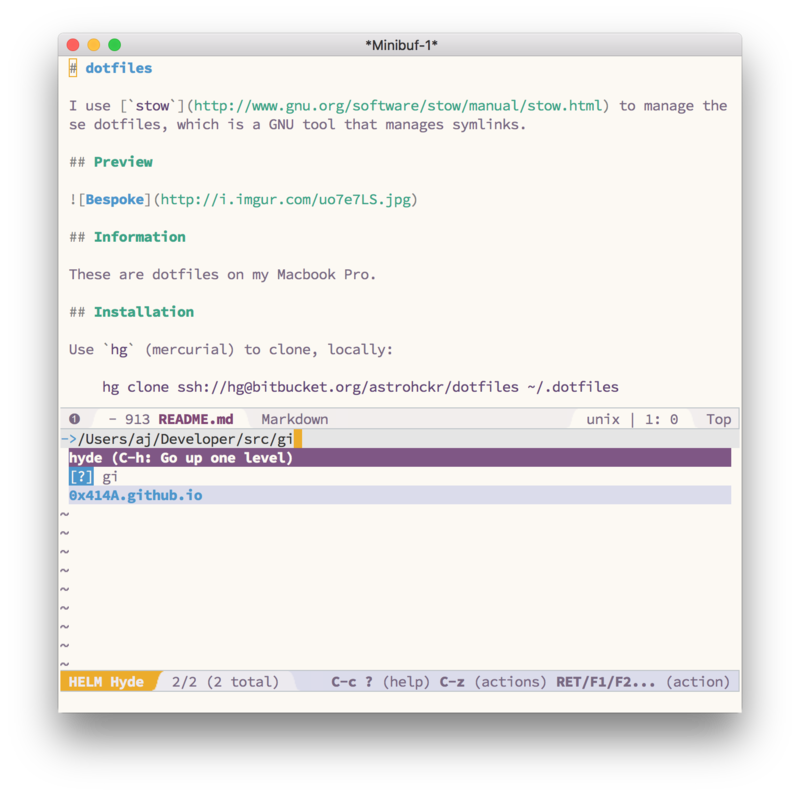 This utilizes a configuration layer to work with a spacemacs-ified Hyde, an excellent jekyll management interface for Emacs. When you reload your spacemacs configuration with SPC f e R, Hyde will be installed. Hyde looks for a .hyde.el in the root of your blog directory, so you'll need to add a .hyde.el there. This layer adds a global SPC a j that will prompt you as to where your Jekyll blog source is locally. You can bring this up any time you're in your blog's source directory with SPC a j. From there you can create a new draft post by pressing n.
For more on the keybindings, read here.